After the terrorist group Hayat Tahrir al-Sham (HTS), a rebrand of Jabhat al-Nusra, which is the Syrian al-Qaeda affiliate, claimed responsibility for the dramatic downing of a Russian Su-25 fighter jet over Idlib in northwest Syria on Saturday - the first Russian plane downed in Syria since 2015 - a number of analysts have published articles asking the obvious million dollar question: where did al-Qaeda get the portable anti-aircraft missile system used in the attack? Dozens of miles of Idlib province are contested among an array of groups, including the terrorist Hayat Tahrir al-Sham (HTS), a rebrand of Jabhat al-Nusra, which was affiliated with al-Qaeda; the Free Syrian Army; and its affiliate Jaish al-Nasr, which is considered a “moderate opposition group" that received weapons from the United States. Minutes after the downing of the Su-25, Alaa al-Hamwi, the military commander of Jaish al-Nasr’s aid defense battalion, claimed responsibility for the attack. Alaa argued that Jaish al-Nasr’s command supplied weapons to protect against the Russian air assault. Though US intelligence and defense officials have long denied that so-called "vetted" groups in Syria were recipients of anti-aircraft systems, rumors to the contrary have been persistent for years. The latest denial came immediately on the heels of Saturday's Russian jet shoot down, which resulted in the death of the pilot on the ground as he came under fire by jihadists. Pentagon spokesman Maj. Adrian J.T. Rankine-Galloway told Russia's TASS: "The United States have not provided any of its allied forces in Syria with anti-aircraft weapons." The Pentagon spokesman further said, according to RT, that the US-led coalition is currently not engaged in any operations in the area where the jet was downed Saturday, indicating the coalition's combat efforts are "geographically orientated on the current fight with Islamic State (IS, formerly ISIS, ISIL) in eastern Syria." 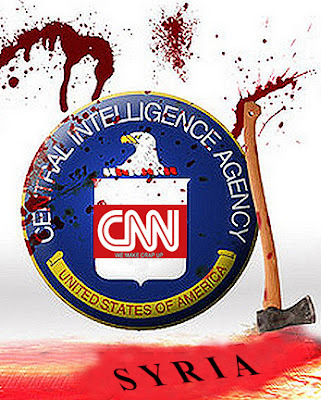 Yet the statement clearly avoided any reference to past US programs to arm so-called "moderates" - whether through the secretive CIA program or DoD program. 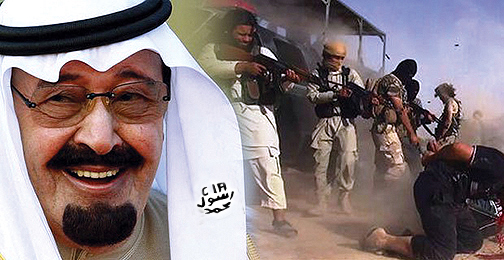 And this is to say nothing of allies like Saudi Arabia who worked closely with US intelligence for years in supplying weapons to anti-Assad militants. Al-Qaeda controls a strip of land (Idlib province) not far from the Mediterranean coast, and has now clearly demonstrated the capability of shooting down aircraft. In 2014 a historical first was reached: al-Qaeda established a foothold on the Mediterranean coast after it took the Syrian town of Kessab, but has since been pushed back into Idlib. However, al-Qaeda still remains a very short drive to the Mediterranean coast, with Syrian government territory in between. MANPADS ("man-portable air-defense system") have appeared on the Syrian battlefield in recent years in the hands armed opposition groups supported by the West and Gulf states, including various FSA and Islamist factions - some of which, as Al Monitor confirms, operate today in Idlib. 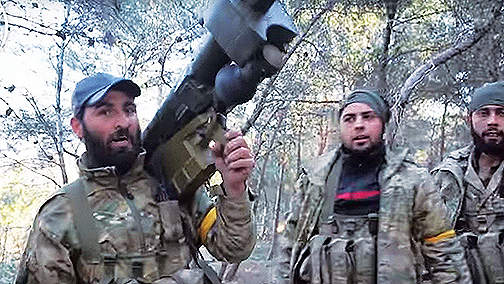 These groups have at various times filmed and demonstrated themselves to be in possession of these externally supplied MANPADS long before last weekend's Russian jet downing. 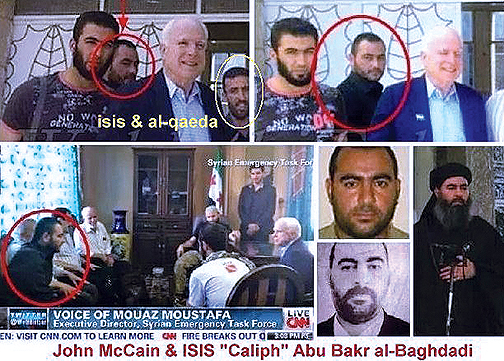 The portable systems are believed by analysts to have entered Syria in multiple waves via different routes and external sponsors, including old Soviet models shipped out of Libya, Chinese FN-6's provided by Qatar, and through NATO member Turkey's porous border with Syria. Some supplies were also likely gained through opposition takeovers of Syrian government storehouses as well as ISIS seizures of Iraqi government bases and equipment. 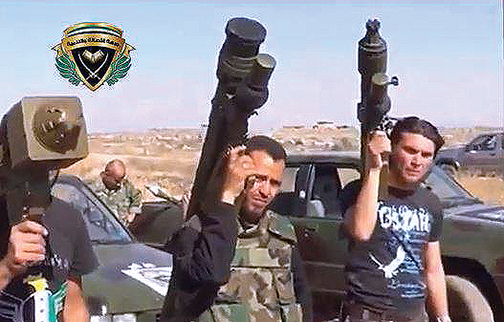 Most likely, United States intelligence operatives simply allowed its close allies like the Saudis and Turks to introduce MANPADS early on in the conflict to the Syrian battlefield. In this way the US could maintain "plausible deniability" as it is likely doing now after last weekend's attack. But a detail which has gone largely unnoticed since the Russian fighter downing is that Congress had already quietly laid the legal framework for US transfer of MANPADS to groups in Syria over a year ago as part of the Fiscal Year 2017 National Defense Authorization Act (the NDAA passed the House and Senate in the opening weeks of December 2016). The leading military news site SOFREP reported the authorization at the end of 2016, and described at the time that "Congress for the first time authorized the Department of Defense to provide vetted-Syrian rebels with anti-aircraft missiles." The inclusion of the provision represents a departure from previous versions of the NDAA. 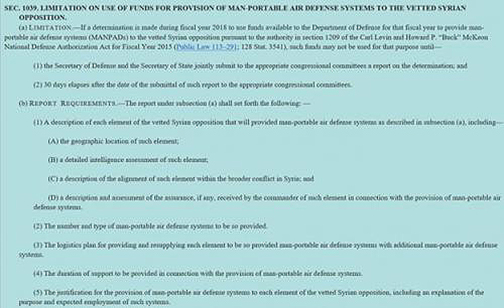 The original House bill specifically prohibited the transfer of MANPADS to “any entity” in Syria, while the Senate bill did not address it. Though there was an attempt in March 2017 to roll back the authorization, nothing appears to have changed regarding MANPADS and Syria in the 2018 NDAA, which was signed into law by President Trump. 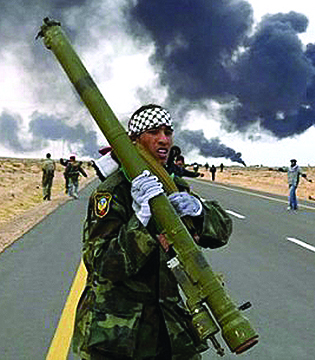 Dr. Christina Lin, a leading scholar on jihadist groups, opens her April 8th commentary at Asia Times: "In a blunder reeking of the fallout caused by supplying Stinger anti-aircraft missiles to 1980s mujahideen in Afghanistan, civilian airline passengers are now under threat from Syrian jihadists armed with portable surface-to-air missiles (MANPADS). 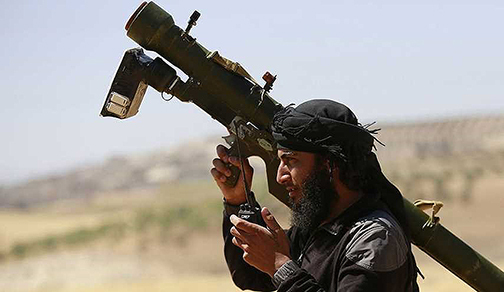 Reports say some American-backed jihadi groups are being equipped with US-made MANPADS. 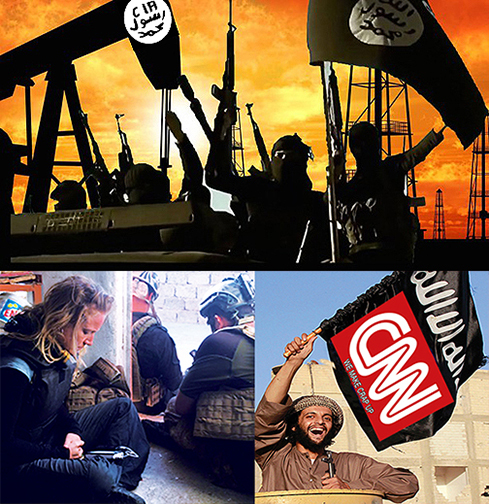 Indications are they’re obtaining these advanced weapons either directly or indirectly from the US or its Mideast allies in connection with a recent escalation in the fighting in Syria." Dr. Lin quotes a Saudi official as saying (in Germany’s Spiegel), "We believe that introducing surface-to-air missiles in Syria is going to change the balance of power on the ground… just like surface-to-air missiles in Afghanistan were able to change the balance of power there." He was referring there to this in 1979, where Obama’s friend Zbigniew Brzezinski explained why the Americans and the Saudis were supplying SAMs to the mujahideen who became al-Qaeda, and he was also referring to this in 1998, where Brzezinski, when asked whether he thought that arming those fundamentalist Sunnis had been a mistake, said that it certainly was not. And an unpleasant reminder which bears repeating. The threat of MANPADS taking out civilian passenger jets is very real, as history proves.